sewprimitive quilter: A Bountiful Life - by Karen of Moose Bay Muses: all Jo! 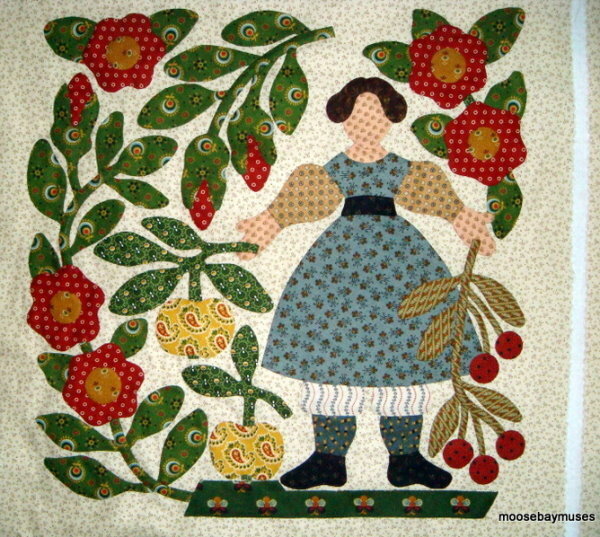 A Bountiful Life - by Karen of Moose Bay Muses: all Jo! 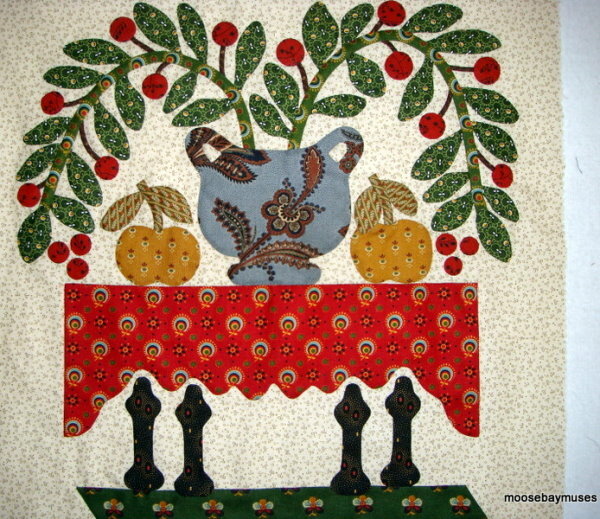 Karen, whose blog is Moose Bay Muses, is making A Bountiful Life in such cheerful, mostly or all Jo Morton fabrics. Just look at these wonderful blocks (oh, the colors) and be sure to bookmark her blog for more blocks (she also has a delightful version of the summer's Temecula Star quilt; be sure to look it up). Holy Cats, these blocks are adorable!! I don't even know what to say about this crazy Rembrandt's expression and ears. She is simply from the Dark Side. Wow! 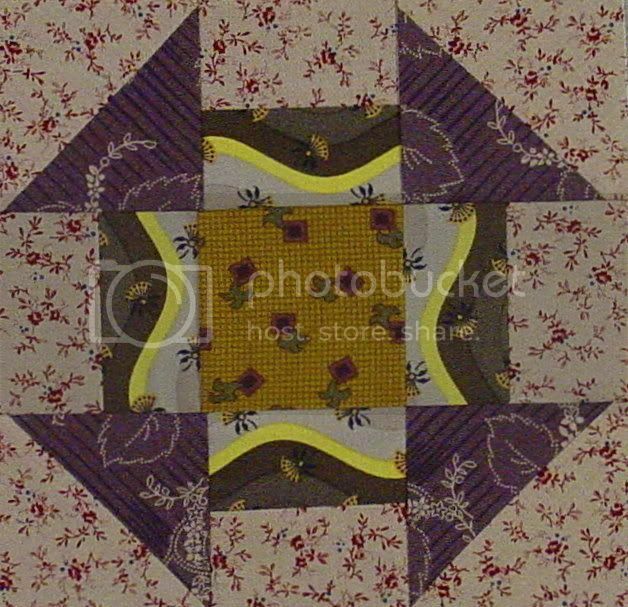 I really like that version made from Jo Morton fabrics. It really is cheerful. I can't believe you're making another one yourself. With all your other projects I thought you'd be satisfied to have the group effort. Wow I love Karen's bright happy blocks!! That Jo Morton green print is marvelous for the leaves. Your faded out version will be wonderful too - the blocks are so interesting I don't think I've seen a version yet that I didn't like. I love your fabric especially the blue bird and votes for women. Where di you find these great prints? 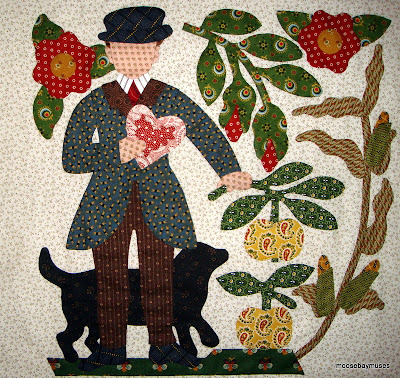 Thanks and I love your quilt designs. The block with the pup is my favorite....such detail. Great blocks! Fun to see them in such bright fabric. So fun to see the dramatic difference that those Jo fabrics make! Love it! She sure knows how to use fabric! Rembrandt does indeed look like the dark side--lol! 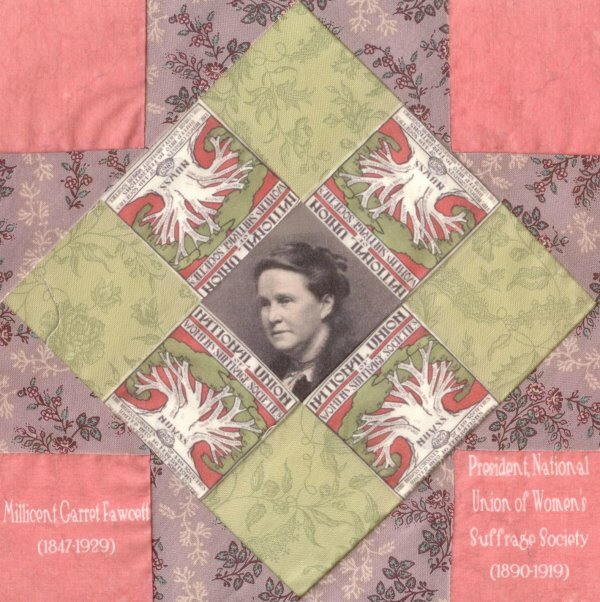 And look at you with those Suffrage blocks. Another interesting combination. What a stash you must have! Nice job! Ooh--the faded version is so pretty--do I see a second Bountiful Life in my future?? I am loving the fabrics you are printing up for the Grandmother's Choice blocks--they just come alive! 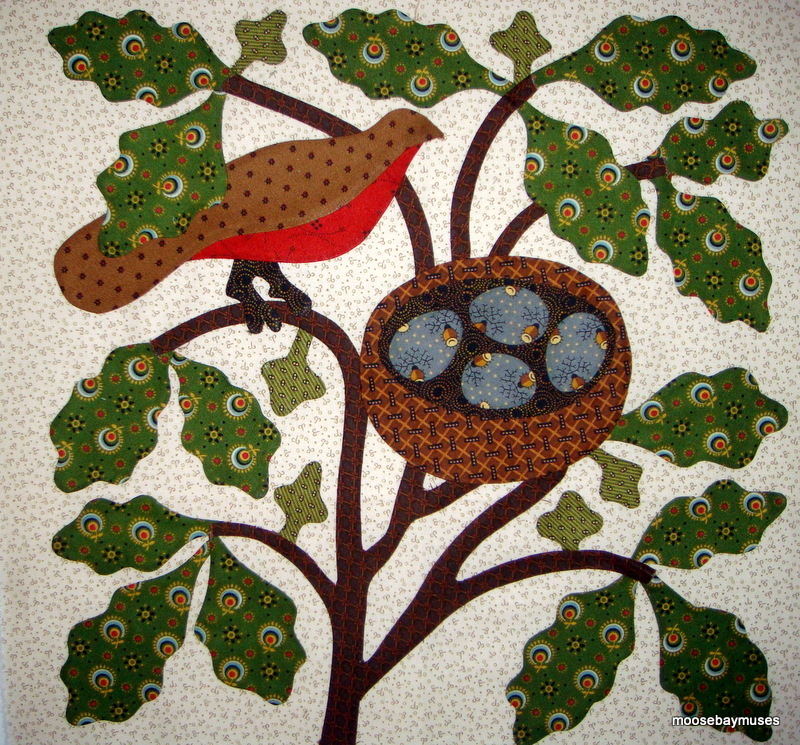 Please tell me how you did the bird fabric and words on the Barbara Brackman blocks. They look great! !